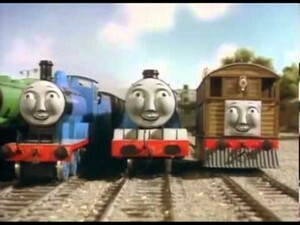 Hilarious Face Swap. . Wallpaper and background images in the Thomas the Tank Engine club tagged: thomas and friends thomas the tank engine a cow on the line funny face swap gordon edward toby.